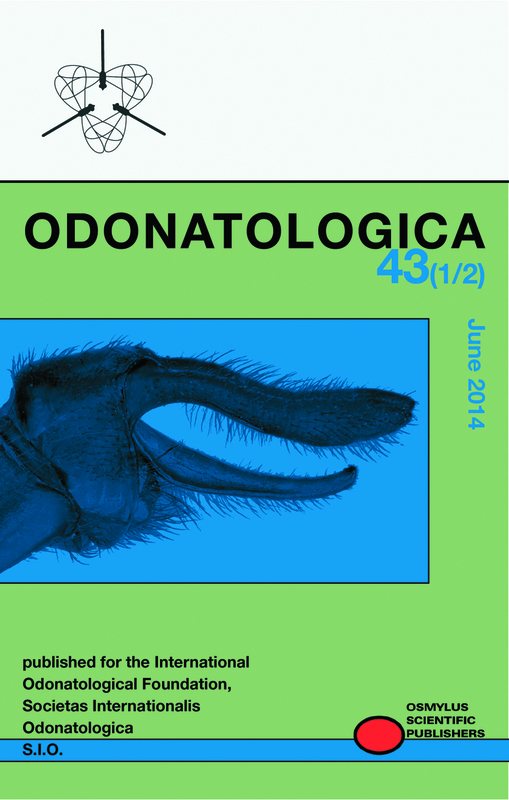 Odonatologica publishes original articles in all fields of odonatology. Review articles, i.e., original and critical accounts of important, rounded-off topics, are also explicitly welcome, but authors who plan to write a review should contact the Editor first. All submitted manuscripts will be evaluated by the Editor and at least two referees to determine their suitability for publication. It is understood that submitted papers have not been published or are under consideration for publication elsewhere. A paper once accepted by Odonatologica may not be withdrawn without the Editor’s consent. Publication language is English, using either British or North American conventions for grammar and spelling. Authors not fluent in English should preferably have their manuscripts checked for correct use of the language prior to submission; linguistically inadequate manuscripts will be returned to the author. Manuscripts by authors whose mother tongue is not English will however be subject to a linguistic routine check before typesetting. Manuscripts should be as concise as possible and their style and lay-out should strictly follow published examples. This also applies to literature citations and to species and reference listing. A strict separation of results from their discussion and interpretation is mandatory. Please note that all titles of journals should be given in full, and that diacritical marks and other glyphs should be given as in the reference cited. The publication of manuscripts not prepared in accordance with Odonatologica style and layout will suffer considerable delay. The Editor reserves the right to adjust format and style to certain standards of uniformity. There is no page charge. The (first) author of each published paper will receive a PDF of the printed version at no charge. Reprints can be ordered from the Editorial Office, at € 0.35 per printed page. Orders under 30 copies cannot be accepted. It is understood that authors submitting manuscripts agree to the above stipulations. Manuscripts should be submitted attached to an email directly to the Editorial Office. The preferred text format is MS Word. Illustrations or photographs should be sent separately, in high resolution, and not embedded in a text document. All communications with the Editor regarding manuscripts should preferably be conducted by email. Osmylus Scientific Publishers, Odonatologica Editorial Office, Postfach 1212, 85280 Wolnzach, Germany; e-mail.